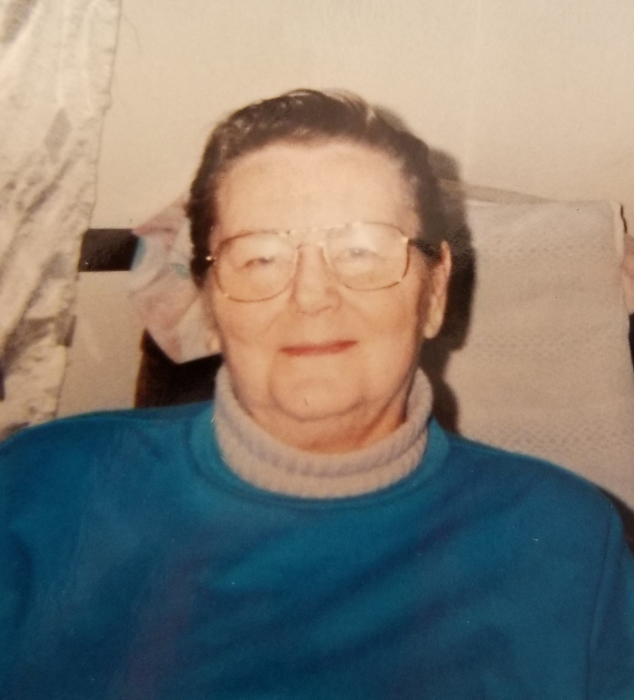 Ruby R. Nelson, age 82 of Barrett passed away March 27, 2018 at Prairie Ridge Hospital in Elbow Lake. Ruby was born on January 19, 1936 to Oscar and Clara (Swenson) Nelson. She was born and raised in Fergus Falls, and graduated from Fergus Falls High School in 1954. She lived in many cities around the country including Phoenix, Houston, Chicago, Denver and Portland where she worked as a secretary and later as a home caregiver. Her love for music was evident in her singing, guitar playing, and even writing her own songs. Ruby moved back to Minnesota in the late 1990’s to be closer to her brother and aunt. She made several new friends and they enjoyed many monthly pizza parties together. Ruby is survived by a niece, nephews and several great nieces and nephews, along with numerous friends. She is preceded in death by her parents; brother, Everette; sisters, Donna and twin sister, Pearl; and two nephews. No serves are planned at this time.